Originally $299.95, Now $192.95! The RapidFIRe™ Heated Jacket Liner w/ three position wired controller, uses Far Infrared technology to provide fast, deep, soothing warmth. Includes built in stuff sack and has no bulky heating wires! 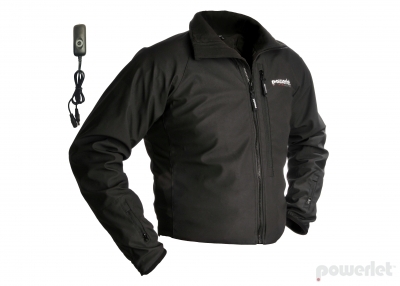 Powerlet designs heated garments for people who rely on their heated clothing for both comfort and safety. Like our customers, we enjoy a lifestyle utilizing convenient modern electronics and wear our heated gear for commutes to work and trips across the country.